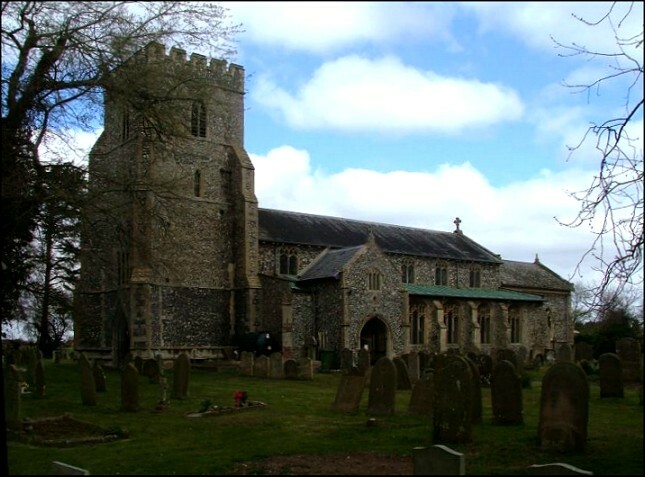 This sprawling church to the north of Watton sits in a fairly small churchyard at a wide curve in the road, and again we find that ogee-arched doorway to the west that is also nearby at Carbrooke and Caston. 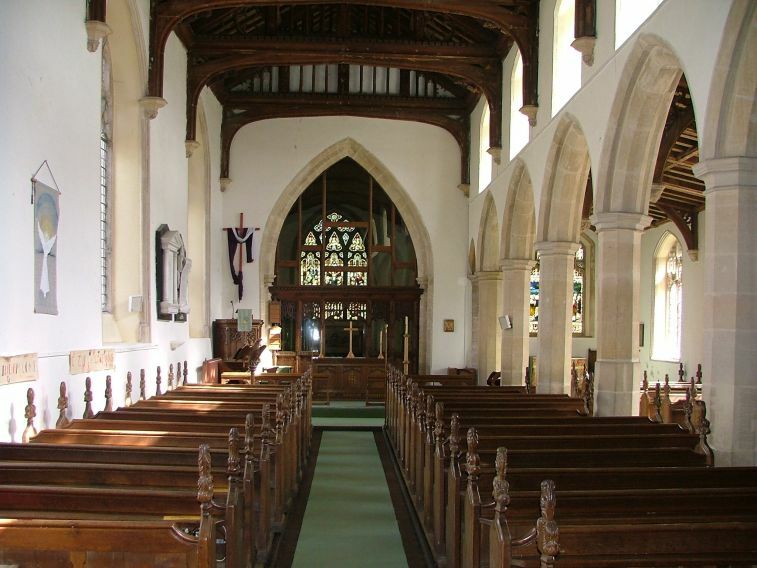 The south porch is a rather austere affair, set partly within the aisle. The aisle itself, and the clerestory, are not imposing. This is a big tower, but in proportion not a tall one, and so the overall effect is of a building which squats comfortably. The aisle and clerestory are solidly Perpendicular, the tower with its fine west window from an earlier, gentler Decorated period. 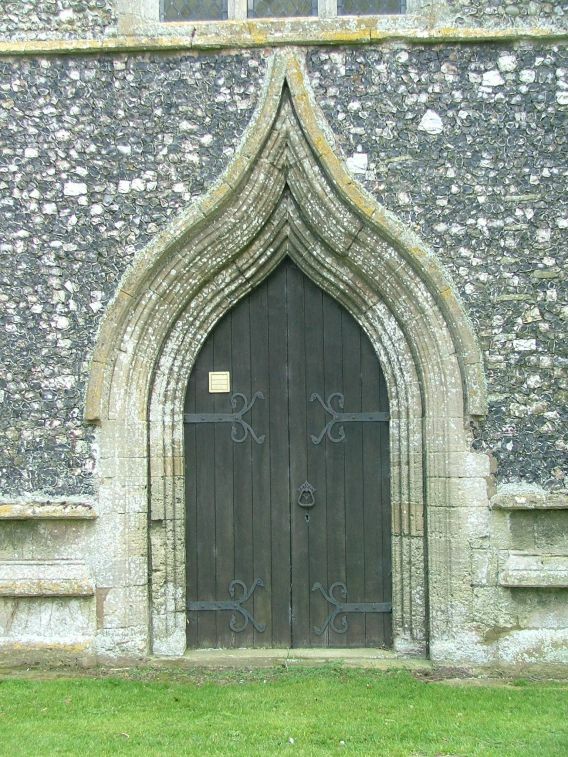 Round the back, the north doorway is even older, perhaps revealing the true age of the building. 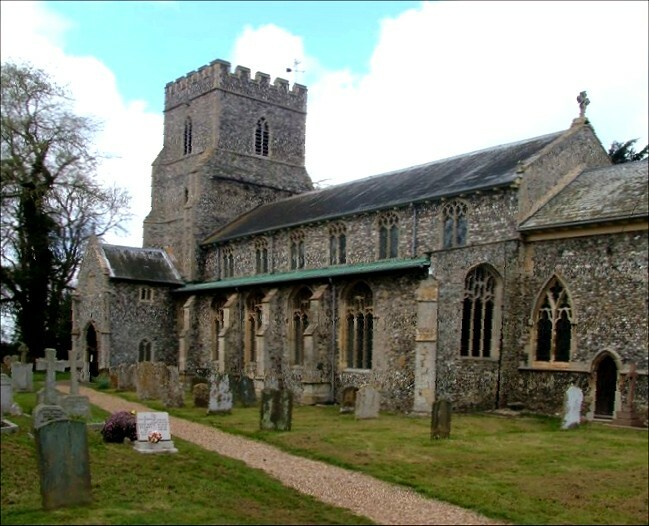 St Nicholas is a fine church, and a good example of how the Victorians really got things right. It also reveals something of the liturgical developments since. The 19th century restoration of Anglican parish churches was generally an attempt to move them away from the evangelical preaching boxes they had become, and return them to something like their medieval integrity, with all the trappings that this implies, an attempt at what the Historian Eammon Duffy has called a 'resacramentalisation' of the interior. Here at Ashill this was done by the book, with fine, solid furnishings in a 15th century style, a screen in the same style incorporating part of an old one, the medieval font reset proudly at the west end in a sea of tiles, coloured glass all around. 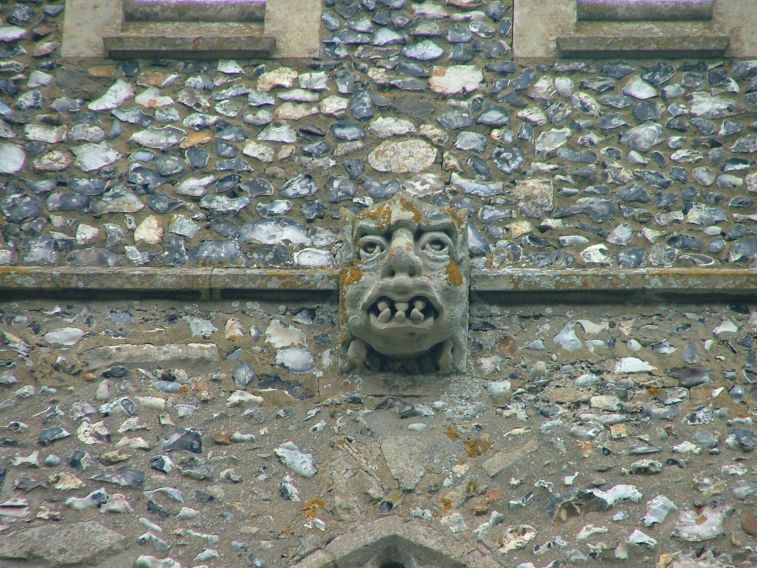 This happened at thousands of English churches, and the work stands and falls by how well it looks today. Here at Ashill it looks very fine indeed, and this is largely because of some excellent medieval survivals which the Victorians set on proud display. 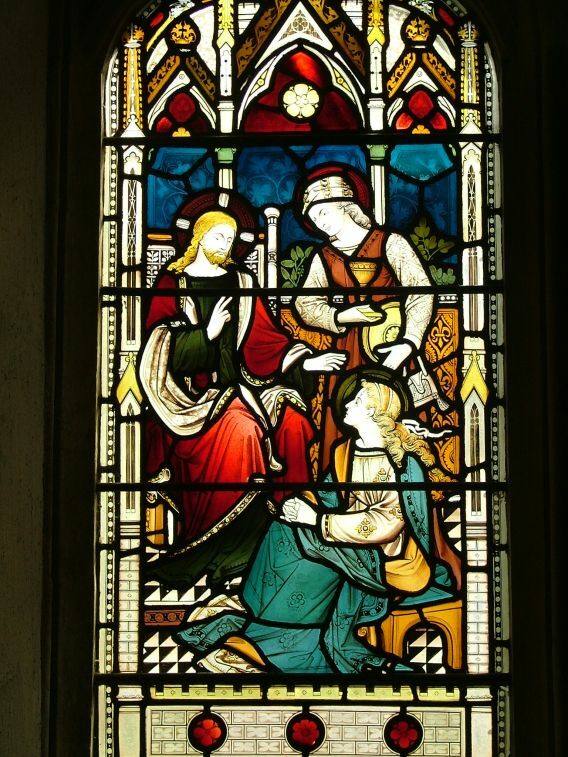 The best medieval work here is the sequence of glass panels in the north side windows. They are the remains of a set of the Four Evangelists and the Four Latin Doctors. We have St John and St Mark from the first set, and St Augustine and St Gregory from the second. St John has been given the head of a woman. 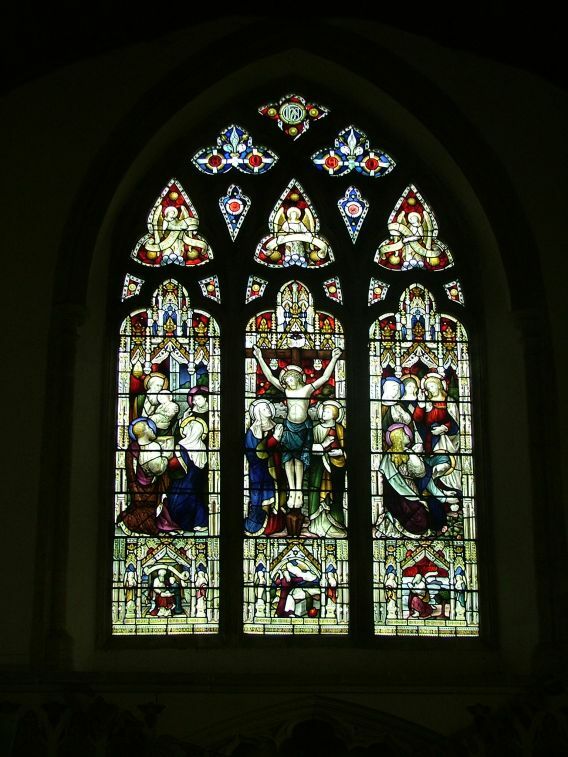 The old glass is offset by some excellent 19th century glass. 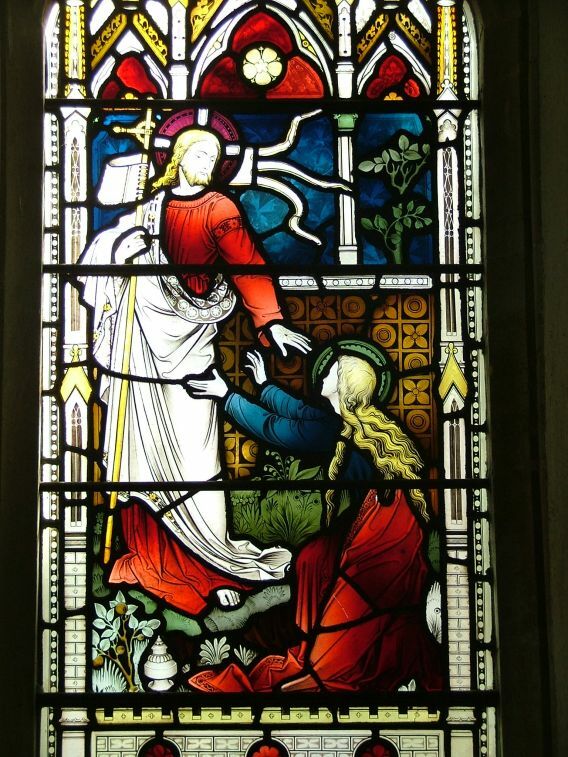 Scenes of Christ with Mary Magdalene are in the west window, and a good crucifixion fills the east. Unfortunately, this is rather hard to see. Currently, the chancel is curtained off to use as a meeting and resource room, and the nave altar has become the main altar. 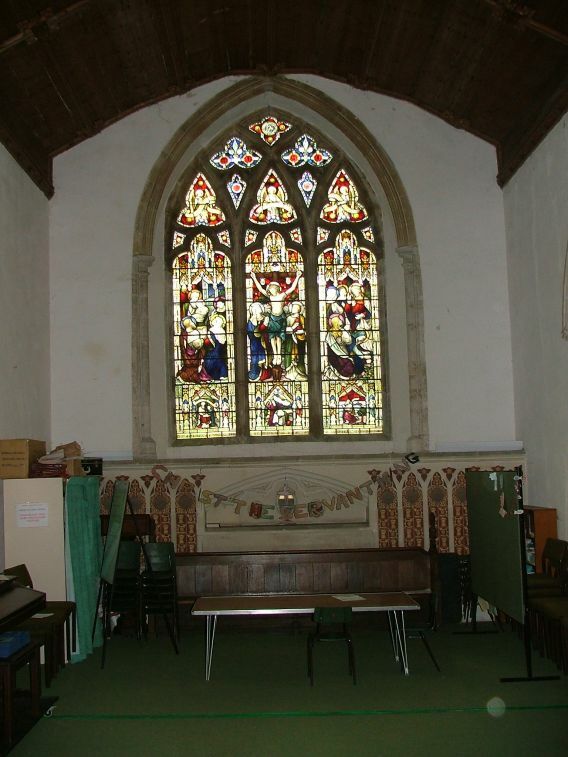 It is worth going into the chancel though, because the east window is flanked by 13th century columns typical of the Early English period, again a suggestion of the true age of this building. 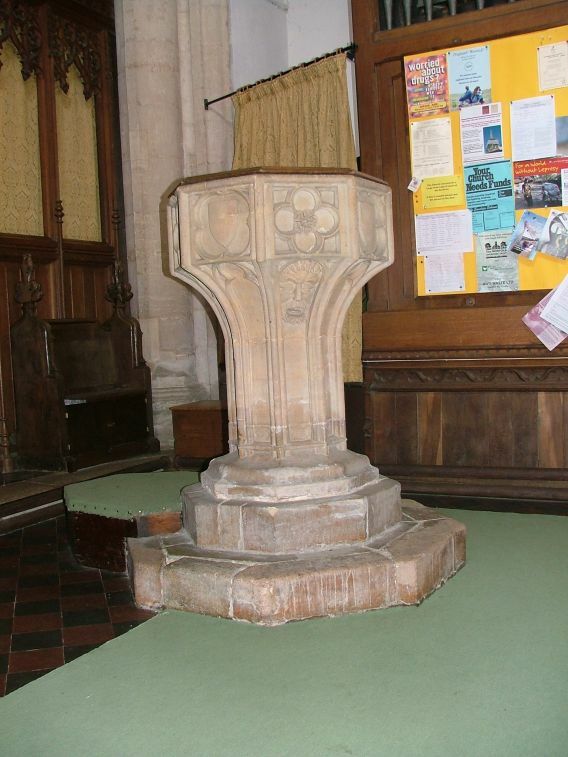 The traceried 14th century font has a big surprise: a bearded head looks out from under one of the panels. 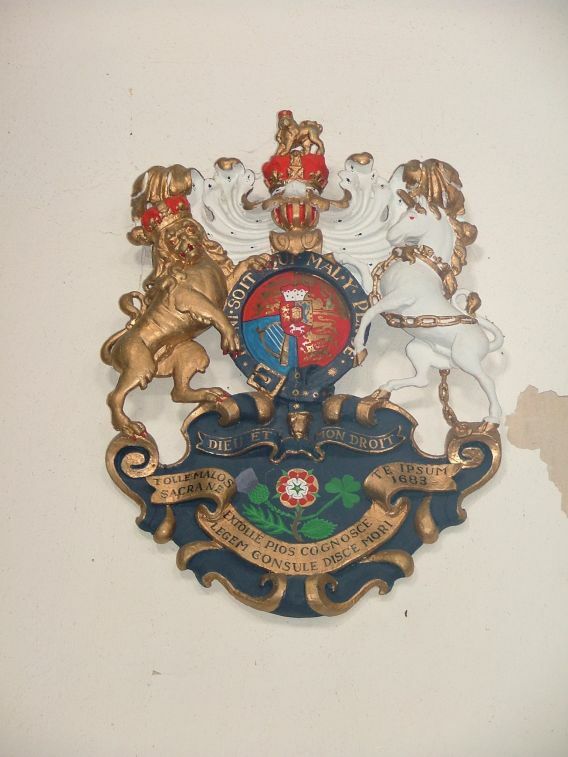 Another curiosity is the royal arms up on the north wall. They are dated 1683 and are cast, I think, in iron. They are brightly coloured, but what does the Latin inscription say beneath it? I could not decipher it. 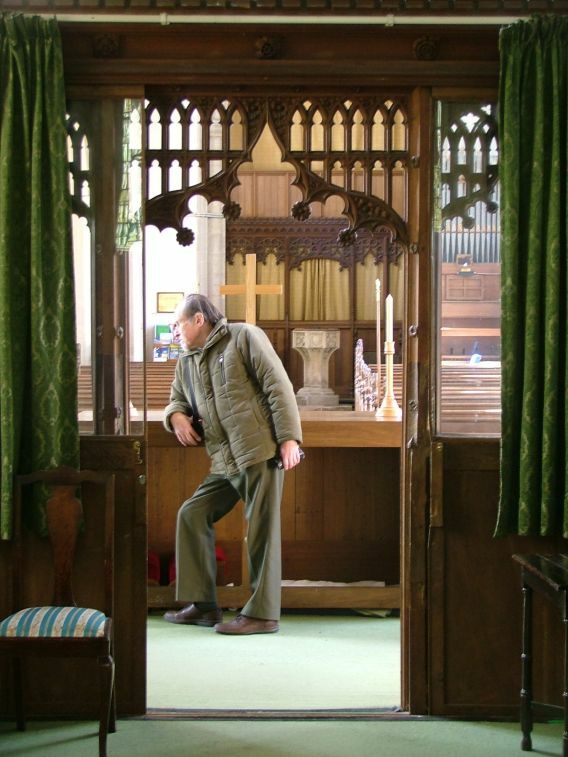 At the west end of the aisle is the most moving survival of all. This is a Flanders cross, which originally stood above the grave of Machine Gun Officer Lieutenant KC Ford, who died of wounds received in Plogstrat Wood in December 1915. The cross would have been placed above his temporary grave while the battle continued around him - indeed, there is a large hole in the cross caused by shrapnel or a bullet. After the war, the bodies were exhumed and collected together, and were reburied under marble crosses in war cemeteries. As far as possible, the original wooden crosses were sent back to the dead soldiers' parishes of origin, and one survives here today.